Simple and contemporary cuisine married to the beautiful and bountiful Bruce County. The Elk & Finch is dedicated to delicious fare inspired by the region and uses as many fresh, seasonal, and locally sourced ingredients as possible. Located in a turn-of-the-century Southampton home, come enjoy the views and Lake Huron breezes on one of our outdoor balconies, or get cozy in one of our quaint and charming dining rooms. Catering, special events, and custom cakes & sweet treats! 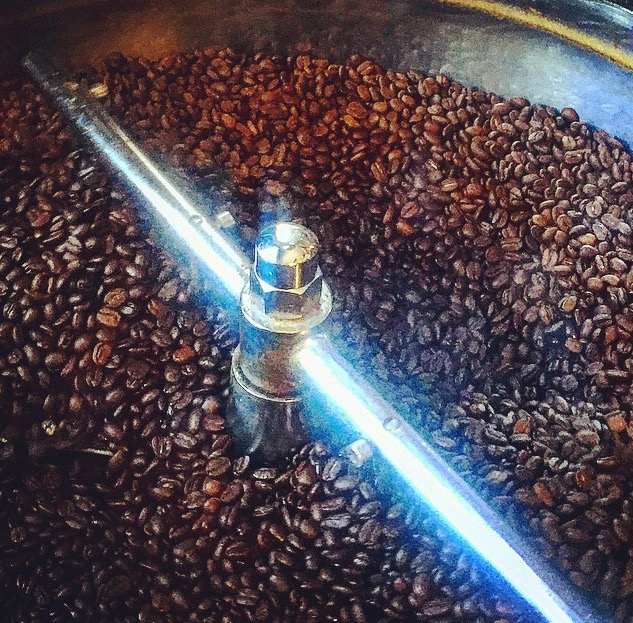 We proudly roast all of our coffee beans in-house. With a wide selection of blends to meet your tastes, we have everything from lighter roasts to some that are on the darker side. Come in for a fresh cup, indulge in one of our espresso beverages, or grab some beans to brew at home! Everything we serve is made from scratch. Head Chef, Bill does it all from butchering meat, boiling stocks, mixing vinaigrettes, preparing soups and stocks, smoking salmon, even hand-rolling dough for made to order pizzas. Dedication to the best flavour possible is unmistakeable in every bite! Our Pastry Chef, Marjorie bakes pastries fresh every day. She fires up the ovens by 5am each morning for muffins, scones, quiche, cakes, and other goodies. Her award-winning caramel buttertarts are a must try!